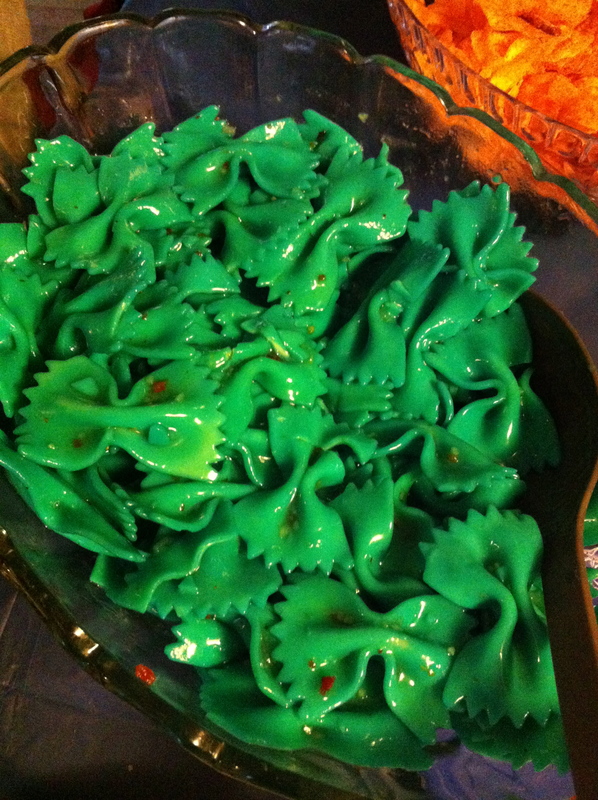 In this picture it looks a little more green than blue, but trust me, this pasta was brighter than a robin’s egg. Did I make this? 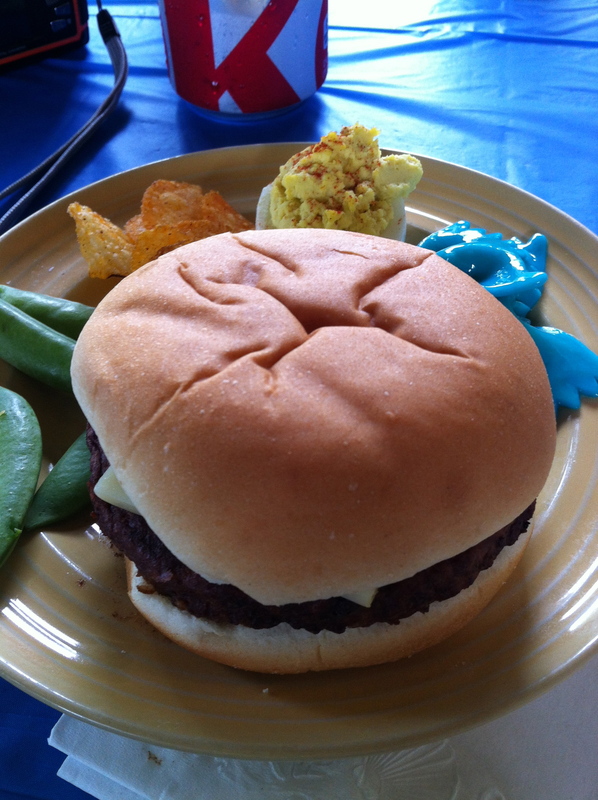 No, but I did try it at a graduation party (blue was one of the school colors- fyi, so it was for a celebratory cause). It tasted good, so I guess just like peace, we should always give blue food a chance.